The Jardin Boatnico de Quito or the Quito Botanical Garden is located in the middle of the La Carolina Park. The conserve was created to reserve the native plant species of Ecuador. It house a variety of plant life. A good collection of orchids, over 1000species, can be found here. Bird watching is another activity of interest undertaken in the Quito Botanical Garden. There are interesting species of Cacti too. Carnivorous plants too are on display. At the edge of the Parque is the Vivarium, a herpetological education and research center that also plays an important role in caring for amphibians and reptiles. Guided tours are also offered here. 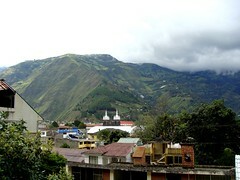 The Botanical Garden of Quito offers an education program for the formation of an environmental culture in the proper use of drinking water for students in primary education. Address: Pasaje # 34, Rumipamba E6-264 y Av Shirys, Interior Parque La Carolina. Contact info: +3 332516 / 3 332543"